Channel 4 is working up a temper and it’s starting to boil over in all kinds of directions. The folks at Horseferry Road are mad at the government, mad at the lack of applause for their involvement in three Oscar-winning films and, most of all, they’re mad with Netflix and Endemol Shine. Why? Well, the SVoD service has pinched one of its big shows – Black Mirror, the drama that ran for two series on C4. It was classic C4 – edgy, innovative and rather dark, with its dystopian glance at modern society. But last September, Netflix commissioned series three from Endemol Shine outfit House of Tomorrow for a reported $40m (£28m), with the aim of internationalising the show. Mad Men’s Jon Hamm starred in the C4 Christmas special (pictured), but that was just the start. Jurassic World’s Bryce Dallas Howard and Alice Eve from Star Trek Into Darkness are to star in the new 12 episode-commission (only seven were made in total for C4). Another Hollywood ‘name’, Joe Wright, of Pan and Anna Karenina fame, will direct. 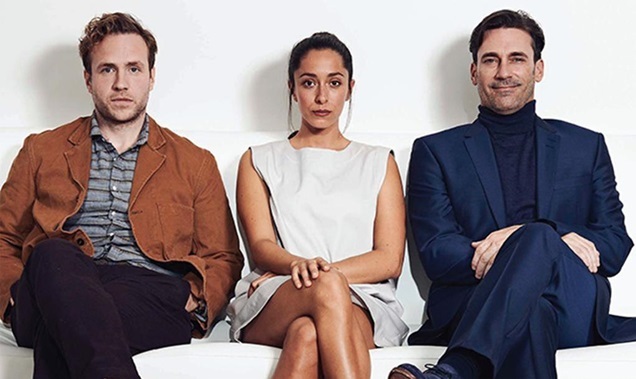 After plenty of to-ing and fro-ing, with claim and counter claim, Netflix has now secured exclusive first-run rights to Black Mirror in the UK, and Channel 4 will not show the new series at all. C4’s Jay Hunt claimed the series was “sold to the highest bidder, ignoring the risk a publicly owned channel like C4 took backing it”, while an Endemol Shine spokesman said it “explored every avenue” with C4, which “has had the opportunity to recommission since 2013 and passed on this and subsequent coproduction options put to them”. This little contretemps speaks volumes about what C4 may have to become in the future if a certain Mr Whittingdale gets his way. Let me step back a moment to explain. David Abraham is making a success of C4, despite what his detractors say. Advertising revenue is set to top £1bn, it has secured awards and acclaim for shows from Catastrophe to The Romanians Are Coming, and has other feathers in its cap, such as grabbing F1 from the BBC. But losing shows it has nurtured is not part of Abraham’s plan. Yes, it expects to lose a few, but the loss of Black Mirror really stung. C4 is now said to be reflecting on its overall relationship with Endemol Shine – that is, reviewing all production contracts with the group. C4’s point is that a show like Black Mirror is only possible because it is not a private company. A series of dystopian tales is a tough first commission, unless you have a vision like C4’s. The point Abraham is making is that C4’s not-for-profit model is key to its success. It gives C4 the “commercial and regulatory flexibility to respond to market developments and short-term change”, according to a new Ernst & Young report. The report was commissioned by C4, but its authors conclude that C4’s current model works just fine, and did so even through vast technological changes and the TV advertising slump. So, does C4 have every right to be angry? I think so, and maybe Endemol Shine has chased Netflix cash with too much speed and too little loyalty. Add to that the creative brain drain at the top of Endemol Shine, and perhaps the super-indie should take a look in the mirror. Make that a black mirror.